Since the inception in 2002, KeyLink Microwave has been devoted to designing, developing and manufacturing RF and microwave power amplifiers modules, components, assemblies and subsystems. 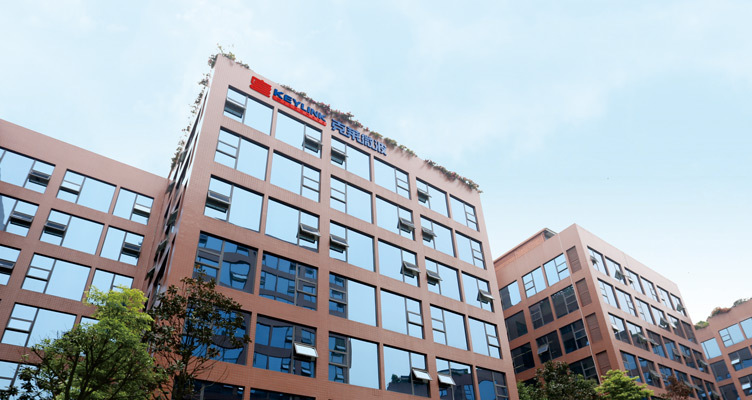 As a high-tech enterprise, KeyLink has continued to advance microwave and RF technology to supply many critical solutions and products for radar, jamming, communication system, test and measurement, and other commercial and industrial market. With an area of 50,000 square feet, located in the industrial park of High-Tech West Zone, Chengdu, a microwave industrial base in China. KeyLink Microwave has gathered an excellent technical team and rich microwave technology resource to contribute to the global microwave industry development. Our solid state power amplifiers cover frequency of L band, S band, C band, X band, Ku band with power level ranges from several Watts to several Kilo-watts. The state-of-art GaN is widely employed to manufacture these amps besides the GaAs and LDMOS technologies. Our promise is to provide our customers the great price and excellent performances of high efficiency and compact design. We belive that KEYLINK amplifiers are the best you can trust on. KEYLINK MW is an ISO 9001: 2008 certified manufacturer. All stages of our designing, manufacturing and inspection work are implemented strictly on ISO 9001 quality system standard to assure you of consistent and reliable products. ISO 9001 certification is the company's basic management principle to provide our customers the best quality solid state power amplifiers. 7) Fast delivery and competitive price. Both COTS and customized products are available. Keylink is alwayshere welcome your inquiry and visit for long lasting cooperation. Copyright(C) Chengdu Keylink Microwave Technology Co., Ltd. All Rights Reserved.